It’s time to put winter behind us! 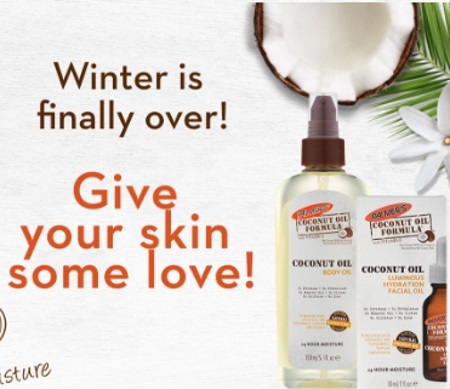 Enter for your chance to win the Palmer’s Coconut Oil Skin Revival Pack: Palmer’s Coconut Oil Formula Lotion, Palmer’s Coconut Oil Formula Body Oil and Palmer’s Coconut Oil Formula Facial Oil. Enter for your chance to win one of 20 Palmer’s Coconut Oil Formula prize packages! Contest closes April 30, 2018.